First of all, the newest Ram 2500 models have excellent under floor storage. 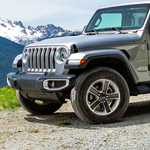 Tough and powerful, the 2019 Jeep Wrangler is an award-winning sport utility vehicle. Available with two or four doors, this robust American vehicle is listed for sale at Sonju Chrysler Jeep Dodge. When you explore this SUV in Two Harbors, you'll be impressed by the patented 4x4 technology and other mechanical installations that are optimized for off-road trips. 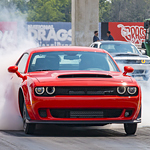 The 2019 Dodge Challenger is a powerful and popular performance sedan. While the 2019 Challenger has plenty of power under the hood, it also provides drivers and passengers with many enjoyment enhancing interior features. These features include specialized seats, variable steering wheel options, and even convenience increasing productivity tools. One of the reasons for buying a full-size luxury sedan is performance. You want a car that has the power and handling to give you a comfortable, outstanding ride. The Chrysler 300 gives you just that, making it one of the favorite vehicles on our lot in Two Harbors. The Jeep Cherokee is known for its unique look and style. It’s one of the reasons that so many drivers are loyal for years and years. 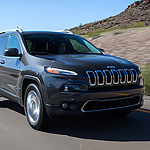 The Cherokee has always had a lot of ways to customize the body style and colors of the trim. This year, there are new grills, body kits, and wheels that will make your Cherokee stand out on the road. The base trim has been redesigned as well to a look that makes it clear the engineers wanted dramatic lines, aerodynamic curves, and lots of rugged appeal. Are you looking for a minivan that is tough and has comfortable seating for your whole family? The Chrysler Pacifica is a popular family minivan. This vehicle has outstanding fuel economy and is sure to save you money at the gas pump. It has a V-6 engine with a highway fuel economy up to 28 mpg. If you are looking to save more money, the hybrid model gets an impressive 82 mpg. 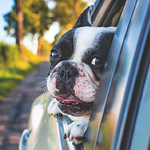 There are a few things that you can change in your vehicle if you want it to be more dog-friendly. There are also certain vehicles out there that come more equipped to handle dogs. 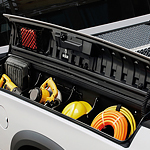 For one, there are SUVs with more cargo space, storage, and even feeding and watering bowls built into the back seat. You can also use a pet carrier to hold smaller dogs in place. It can feel pretty upsetting to get a notification in the mail that your car has been recalled. This simply means that the vehicle manufacturer or the National Highway Traffic Safety Administration’s (NHTSA) has discovered a safety related defect. Our Sonju Chrysler Jeep Dodge service department offers the following ways to deal with a recall. Read your recall letter completely. It spells out the nature of the defect, warning signs and potential hazards, how the manufacturer plans to fix this issue, and specific instructions on what to do next. The Ram 3500 is a top model at Sonju Chrysler Jeep Dodge for a number of reasons. Many of our consumers prefer this heavy-duty pickup truck because it is versatile. With the Ram 3500, you can choose a powertrain that offers three transmissions and two engines. 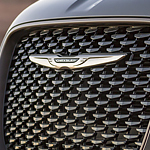 The modern version of the Chrysler 300 has been around since 2005. The first generation included a sedan and a station wagon model. 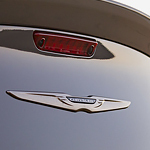 Since 2011, the Chrysler 300 has only appeared as a sedan. 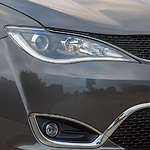 The change from a multi-designed model to a single design allowed Chrysler to concentrate on creating an aggressive and sleek exterior.